Planning for your retirement is always a smart idea. With the future uncertainties of Social Security, your retirement fund has never been more important. So when should you start planning your retirement? The answer is: as soon as possible. The younger you start investing, the more comfortable and successful you will be in your retirement years. Even if you haven’t started saving for retirement yet, you can still start now and enjoy the benefits. Planning for your retirement is essentially investing in your future, and it’s important to remember that this money is meant for a satisfying retirement. With pensions, 401Ks, and most other retirement funds, early withdrawal of funds could mean penalties. There are a multitude of options for investing towards your retirement: pension plans, 401K plans, IRA plans, as well as stocks, bonds, and mutual investments. Understanding the advantages and disadvantages of each will help guide you as to what plan best works for your personal situation. Although pension plans are becoming less popular with employers, if you are lucky enough to work where one is offered, take advantage of it. The two most popular types of pension plans are the defined contribution plan and the defined benefit plan. The defined contribution plan is the more popular option for employers. With this plan, you contribute a certain amount per pay period, and your employer matches a percentage of your contribution. This contribution is then invested by the company over the length of your career, and the account balance is paid out when you retire. This balance is based on the performance of the company’s investing. This plan is definitely the more popular of the two among employees. You contribute a certain predetermined amount per pay period, with the guarantee of the payout upon retirement. This contribution is invested by the company over the length of your career, with the difference being that you receive the guaranteed payout, regardless of the company’s investing performance. 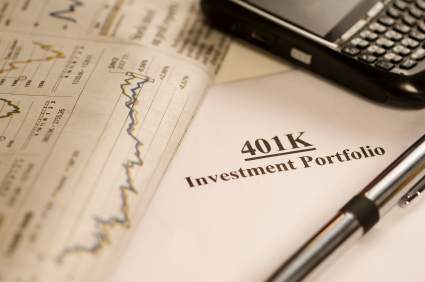 Many companies offer a 401K plan through work. You decide the amount to contribute to your 401K plan, which is deducted from your paycheck, and your company will match a pre-determined percentage of your contribution. These monies are then invested through the company’s investment plan, and distributed upon your retirement. Income tax is applied at the time the funds are withdrawn. An IRA is an Individual Retirement Account. The most popular types of IRAs are the Traditional IRA, and the Roth IRA. The main benefit of a Traditional IRA is the tax deferral. Monies you contribute to the IRA annually are taken from your yearly income, reducing your tax liability for the year. Income tax is not applied until funds are withdrawn from the account. However, withdrawing funds before you are 59 ½ years in age will lead to a 10% penalty. The penalty is not assessed if you become permanently disabled. Also, at any time, you are allowed to withdraw $10,000.00 towards your first home, pay for approved higher education costs, or pay for cartage percentages of medical costs without being penalized. Roth IRAS do not offer a tax deferral option. However, by paying the tax upfront, you are eliminating the need to pay tax on any earnings you acquire over the life of the investment. If you decide to withdrawn funds before turning 59 ½ years in age, or funds are withdrawn within five years of opening your account, you still have the 10% early withdrawal penalty, unless, like the Traditional IRA, the funds are being used to purchase a home, or pay for medical or educational costs. Remember that the IRA itself is not the investment. It is merely an account that holds your contribution. Once you deposit your first amount, the account is considered funded. Those funds will then be used to invest into your retirement. After funding your IRA, you will need to choose how you want to invest your contribution. Take the time to understand the differences between your investment options. Ask your financial advisor for advice, and question anything you do not understand. Having a complete picture of your options will help you decide which investment will pay off best for your personal situation in the long run. Purchasing a stock means that you own a share of that company. When the company’s earnings improve, investors are willing to pay more for that stock, making your stock worth more money. Although the stock market can be risky, the average return on a long term stock is almost 10% annually. It is best to purchase more than one stock, and spread the risk. If one stock fails, you still have others to rely on. A bond is somewhat like you offering an IOU to a company. You, the investor, are essentially giving the company a loan. You agree on the maturity date (when the money is due to be paid back) at a pre-determined interest rate. This interest rate is most commonly paid bi-annually. A mutual fund is a portfolio of stocks and bonds shared between several investors, with a professional broker managing the portfolio for you. Owning different stocks and securities helps spread the risk, and sharing the portfolio allows you to invest in several different stocks and bonds. Keep in mind though, that you are paying a professional to manage your portfolio for you. These are bills that you purchase and are sold for under face value. For example, you purchase a $100 bill, but only pay $90. Upon the maturity date, you would be issued the face value. Treasury bills are purchased in increments of $100.00. You have the option to hold onto the bill until it matures, or sell it before the maturity date. Understanding your options is your first step in obtaining a successful retirement. Ask your financial advisor about any trends, and what people your age are having the most success investing in. Don’t depend on your pension plan alone. If you start planning your retirement when you are young, you can afford to take more chances, and invest more heavily in stocks and mutual funds. Play the averages, and diversify your portfolio. As you get closer to retirement, try to taper off some of the riskier investments. Do your homework, plan ahead, and best of all, look forward to a comfortable and successful retirement.